Key Losses: Antonio McDyess, Rasheed Wallace, Amir Johnson, Arron Afflalo, Chauncey Billups (does that still count), head coach Michael Curry (a good loss) and possibly the best loss in Pistons history, the end of Allen Iverson in red, white and blue. Key Additions: Ben Gordon, Charlie Villanueva, Chris Wilcox, Austin Daye, DaJuan Summers, Jonas Jerebko and Ben Wallace. 1. What Significant Moves were made during the off-season? The Pistons haven’t had a significant change to a start of the season since Joe Dumars took over as GM. Dumars started cleaning house well before the season started by trading away the Pistons cherished point guard Chauncey Billups for the expiring contract of Allen Iverson. The Iverson experience was a train wreck and by the end of the season it was obvious that big changes were coming. Dumars started in late June with the firing of head coach Michael Curry. He traded Amir Johnson to the Milwaukee Bucks for Fabricio Oberto who was later waived. With the 15th pick in the NBA Draft Detroit selected Austin Daye of Gonzaga University and later took DaJuan Summers and Jonas Jerebko in the second round. Dumars then shipped out Arron Afflao for more cap space to secure the free agents he was coveting. Dumars wasted no time in bringing Ben Gordan and Charlie Villanueva to Detroit. On July 1, 2009, the Pistons reached an agreement with the former Bulls guard on a 5 year/$55 million contract, as well as an agreement with Charlie Villanueva on a 5 year contract worth $35 million. They picked up plenty, but they also lost two of their key players in Rasheed Wallace and Antonio McDyess. On July 5, 2009 the Pistons Sheed to free agency. Wallace signed a two year, $5.58 million contract with the Boston Celtics. Following the departure of Wallace, former Antonio McDyess signed a one year contract with the San Antonio Spurs for the mid-level exception. Though Pistons fans were probably ready to see Rasheed say goodbye, McDess heart and desire will be missed at The Palace. In dire need of big man, Dumars picked up Knicks power forward Chris Wilcox to do some damage down low. And a surprise that Pistons fans were hoping for, the return of Ben Wallace to Detroit. Wallace, who was waived by the Phoenix Suns signed for the veterans minimum to play for the Pistons this season. 2. What are the team’s biggest strengths? This current configuration of Pistons should have no problem putting the ball in the basket. With Ben Gordon coming off the bench and Charlie Villanueva added to the starting lineup Detroit will be able to put up points. They also got younger and faster this season with rookies Austin Daye and DaJuan Summers. Put them in the lineup with Stuckey or Will Bynum at the point and this team will get out and run, something we rarely saw from the Pistons half court style of play. 3. What are the team’s biggest weaknesses? The most glaring and obvious weakness for Detroit is the “D”. Always known for defense first, the Pistons now have an offensive mined squad and a lack of established big men. The Pistons new addition down low, Charlie Villanueva has a reputation to be allergic to rebounds and has been called “soft.” Look for Jason Maxiell, Chirs Wilcox and Kwame Brown to do most of the dirty work for the Pistons this season. 4.What are the goals for this team? Better than 39 wins will be just fine for this Pistons team. If Detroit can pull off a winning season, than what happened last year can be somewhat forgiven. If new coach John Kuester can get this team together they have the talent to do much better than expected. Will they make the playoffs? Probably. Will they go far? Unlikely. 5. Will the roster likely stay the way it is? You can bet that Joe Dumars is working on trying to make a few more moves. The most valuable and likely to go is Rip Hamilton. He’s got value on the market and with Ben Gordon on the team, his offense wouldn’t be missed that much putting Ben in the starting lineup to replace him. If there is a move to make Dumars will do it, we saw it last year with Billups, don’t count anything out at this point. One thing is sure, they may not be slotted to make the ECF like they used to, but this Pistons team is going to be fun to watch. 59 Responses to "Detroit Pistons Season Preview – 2009-2010"
Haven’t you been reading Piston.com? CV’s not a lock to start anymore. i hope the Rip-BG experiment works so rip doesnt have to be traded. i think it would be awesome having our second team be bynum, gordon, charlie v (assuming big ben gets the starting position), and whoever else. This just in – Pistons will definitely knock off the Boston Celtics in the Eastern Conference Semifinals to meet Cleveland in the Eastern Conference finals. They will lose to Cleveland in Six. In the off season they will acquire Stodamire from Phoenix and will be ready for another ‘ship next year. You heard it here first, from Diogenes the Dog. Bow wow! 100% agreeing with the article. Will be behind this team no matter what. I believe in Joe D. Go Detroit. I was figuring the moves would be worth 5-8 more wins this season, the article puts it right in that same ballpark. Ben Gordon is going to be good but I think the biggest factor with the new acquisitions is Ben Wallace. 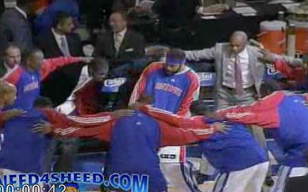 When we lost Chauncey Billups last season you could say he took the glue that held this team together with him. I honestly think Ben brings some of that glue back to the team. I know you weren’t thrilled with the prospect of having Ben Wallace back on this team Natalie but I think he’s going to make AI look like a train disaster . Michael Curry made us the laughing stock of the league. I couldnt agree more with the article especially the part about how we dont have proven big men which is why I think we should go after Marcus Camby. We can get him for cheap beacse he will come off the bench with lower minutes in favor of Kaman and Griffen. I decided I was going to stop reading your comments a while ago but unfortunately I didn’t see your name OBIWAN.. Fist off learn that it’s BANDwagon (not ban wagon) before calling someone one. And if Natalie truly was a jumper this site wouldn’t be in existence. Opinions you have yours and WE have ours. Mine is that you can’t be more than 13 years old and if you are. God help you. This is pretty much on as far as the season goes. Anything more is just a bonus. 3. What are the team’s biggest weaknesses? Very sad…Joe can’t find decent big men so he just gives up completely? I’m still not thrilled with Villanueva. I hope he proves me wrong. For Detroit to have bandwagon fans, wouldn’t they need to win something? BANDwagon? Natalie remembers the Bad Boys. Your earliest Pistons memories are when they signed Chris Webber. I don’t think Joe’s given up. He’s always looking to make the next move. Plus, this preseason, Ben and Kwame have been doing well on defense. But, like it was said, if things aren’t going as planned, the person likely to go is Rip for a big man. Agreed- I like the lineup the way it is. D is not there biggest weakness, we’re shooting 49.% from the floor while keeping the other teams to 39%. with ben starting (now looking like he will even when charlie is back) We set a good tone on d from the get go. No big men? what team are you watching? Brown is playing way better, ben is doing great, and chris wilcox will surprise a lot of you that haven’t really watched him play with these guys yet. he fits in great. im laughing at obiwan spamming the site trying to get attention by insulting Natalie. obiwan having an opinion doesnt make you a bandwagoner, if you don’t know what the term band wagoner means dont use it. You need proof Natalie’s not a bandwagoner read the freaking line right under Sheed’s toon at the top. What have you done for the team? How are you hyping people or doing anything but talking smack? Rip needs to go! He turned into a big cry baby after big shot left. see ya! Well, nobody should be afraid of boston, the pistons have gone mobile now. We have the ability to guard sheed, allen, garnet, rondo, all of those guys. Plus we’ve added depth to the line-up. We’re going to out run teams like crazy, especially boston! 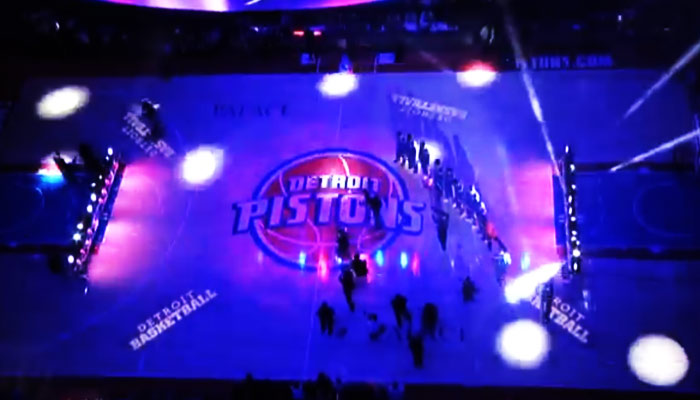 The pistons have added a unique dimension to their game. I mean, honestly, gordon almost beat the celtics on his own last year…imagine him on the pistons this year, they should be able to score at will because EVERYONE needs to be attended to, it causes open passing lanes/driving lanes for everyone. If used right we could be the run n gun suns with waaaaay better defense! I see a ship coming sooner rather than later! You might want to spell ‘you’re’ correctly before making accusations. Are we going to talk about the Wizards game last night at all, or just act like it didn’t happen? You guys do realize the REAL problem right? Its stuckey…and the lack of a legitimate PASSING point guard. When you have stuckey out there for 30 mpg and only dishes out 1 assist, while taking 15 shots and only making 3….THAT IS YOUR PROBLEM! Will Bynum comes in, sure he can score…but again minimal assists….Ben Gordon…Pass is not in his vocabulary. Pistons have terrible ball movement. Stuckey jacks up one-on-one shots, same as Bynum…both usually shoot terrible FG % for the game, while big men like Wilcox/Kwame/Maxiell shoot OVER 50% and get 3-6 shots per game? Thats your problem detroit! And also YAYYY we have another Maxiell season where they lock him up for 95% of the game…let him play a spotted 10 minutes and never feed him the ball….what a TERRIBLE pistons team! TRADE MAXIELL IF YOUR NOT GOING TO USE HIM! WHY SIGN HIM TO A CONTRACT AND THEN BENCH HIM OR USE HIM FOR A FEW MINUTES IN A 50 MAN ROTATION!?!?!?!?! obiwan you call Nat bandwagon yet you only predict 4 more wins? oh i see your a nitpicker. You pick up a misworded sentence and blow it out of proportion. Guess what she can still support Sheed and hope for him to do well while still hoping the Pistons win. And guess a real fan would call guys out if they didn’t feel the player was giving it all, the person who gets the most frustrated when something doesn’t go well is the person who cares the most about the outcome. The bandwagoners you mention are the ones who don’t care either way and just want to cheer for themselves. Natalie’s cheering for herself and the team, and guess what it is hard to cheer sometimes for a team you know isn’t really the team put together to win like last’s years team. That was a holdover team. But the site is still here and so is she. Obiwan, I guess you will call me fair weather, or bandwagon, but I want to wish Dice a good season and beat the Lakers. He deserves a ring. 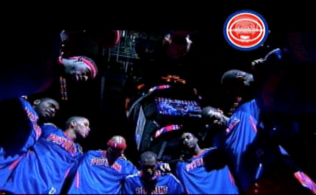 Win, lose or draw, above all I want the Pistons to the finals. We should trade Hamilton while he still has value. He is aging, and we know what that normally does to SG’s. Who would be interested in him though? I was trying to think of a good situation to send him to, but I can’t think of any playoff teams with a glaring need for a SG. And the dumb comment of the day goes to: Ernest T.
Seriously, you obviously haven’t read anything this article says. At all. Or been observant to anything going on in the Pistons’ organization. great preview! the most accurate preview i had seen, honestly still severely disappointed on those two off season acquisitions no matter how i try to convince myself it is good for the team to have players who can post 20 points each but can’t play defense i would say hold on to the salary cap until a better option comes along, but still have to say i am still behind the team, hopefully they can at least get to the first round so that the rookies can gain as much experience playing in the NBA in this rebuilding year. Well.. we should deffinetly think of a new name for the site because either change the name or change this to a Boston Celtics fan site.